There is no denying that a foundation is the most significant aspect of any structure, especially when it comes to your home. If your humble abode sits on a solid foundation, it can maintain its integrity in supporting the rest of the structure. Such as windows, door frames, second stories and the roof. 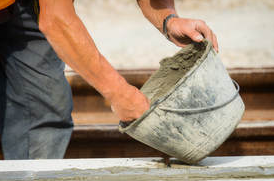 A firm foundation can assist your home withstanding the test of time. How to ascertain if you have foundation problems? Jammed windows and doors, or windows and doors that are not lining up correctly. Foundation cracks in your basement walls or cement slab floor. Water pooling in areas around the base of your home. The first and obvious step is to call Foundation Repair San Antonio to assess the severity of your foundation problem(s). Once you informed of the diagnosis, you can then decide on how to repair and how to maintain support for the foundation of your home. The most common way is slabjacking, which may be called “mudjacking” or “pressure grouting.” Slabjacking is methodically drilling small holes in the concrete slab; holes are usually 3/8" or 5/8" in size. Once holes drilled, the cement is pumped in to raise and level the slab from underneath. Once this process is complete, the holes will be patched, and the job is complete. Helical Piers, also called ground anchors or screw anchors, is an advanced. Helical piers are made of galvanized steel and have been in existence for roughly 150 years, making screw anchors another simple solution to raising a foundation. To do this first, piers are placed in deliberate sections around the structure. Then they are driven into the soil until the desired load capacity is achieved. Then piers are attached to brackets placed at the lowest part of the walls. Once complete the weight of the structure will then be transferred to the piers. Another option is push piers or steel support piers. They are a sound solution if you have preferred soil your home. Push piers are best for heavy structural weight bearing. To install the footing foundation of your home is exposed and cut to specific measured lengths. A foundation bracket is mounted, a pier is driven through the bracket to the soil below. Once the pier is well into the preferred soil the will then be supported evenly among multiple piers. Our team at Foundation Repair San Antonio will be here to guide you through the process of supporting your home.